There is a market opportunity for a design agency to be focused solely on making branded Microsoft Word templates for companies. Which is not just sticking the logo at the top of the Word file. Why use that generic default blue in your Word file if your company has a specific shade of blue? Chances are, your company’s design department has an entire palette of colors they would prefer everyone to use. This can be a tricky one, because not everyone will have the designer’s company fonts installed. For instance, I prefer people to use Open Sans Light and Letter Gothic. But instead the comparable default Windows fonts are Segoe UI Light and Consolas. But hey, the compromise is a lot better than using Arial. Everyone using the exact same footer will really make your branding look consistent. Think of this as a letterhead. Use the exact same logo treatment in your footer, just like you would do on a print letterhead. Modification date. If your company is still a paper-based company where people bring printouts to meetings, I bet you’ll have version control issues. Often these printouts have no indication of when they were created. If someone updates the file, you’ll have to start digging around as to which is the most recent version. File name. What if someone needs the original digital file used to create a printout? If the file name is on the printed sheet, you’ll easily be able to request the specific file. Page number. Some people love to spread all the sheets from a document out on a table. The order of the papers will get all jumbled. Follow the example of why books have page numbers–for easy reference. All your printed materials should have page numbers too. It’s super easy and they auto-update on their own. Just incorporate those four items in your Word files, and you’ll already have a much more organized company that is presenting itself in a consistent way. There is definitely value in having consistent Word files. Then why don’t companies do it? Most graphic designers don’t want to touch Microsoft Word. Anything that is done by a designer is created in an Adobe application like Indesign. Most companies have really nice brochures or websites, but their day-to-day materials are left to non-designers who have no clue how to design or how to use style sheets. There is a great opportunity for someone to create a service with this being the sole focus. Come and create an easy, consistent Word template. The past year I’ve created a few Word templates for my co-workers. They have been pleased with the design consistency in these Word files. I have to admit, it does take some time to get used to where things are in Word. Options like custom leading and kerning are buried within several layers of menus. But these options do exist. A designer can make nice layouts in Word. Yes, I’ve said it. A designer can actually use Microsoft Word as a design tool. However, part of the trick is getting the non-designers who use these templates to actually use the style sheets. I haven’t been the best at training people how to use this. I just kinda hope that they’ll copy and paste the text from parts of the Word file and use it in their documents. So a subhead section that is styled as “heading 3″… well, I hope that people use that “heading 3” style in their document. Included with this Word template design service is a training session on how to best use Word files. That way, the companies actually use these templates. In addition to the training on how to use the style sheets in Word, there’s also the best practices of document management. As outlined in the footer suggestions above, there will be training to inform people to always update the footer in their Word files. It’s for the best of everyone at the company to do so. It would be very ironic if I started a business whose focus was designing Word templates. For years, I would be so happy when I didn’t have to open Word throughout the day. So if I got a copy doc at the end of the day, and i saw that I still haven’t launched Word, I would be happy. Which I guess that anecdote would be part of my pitch. 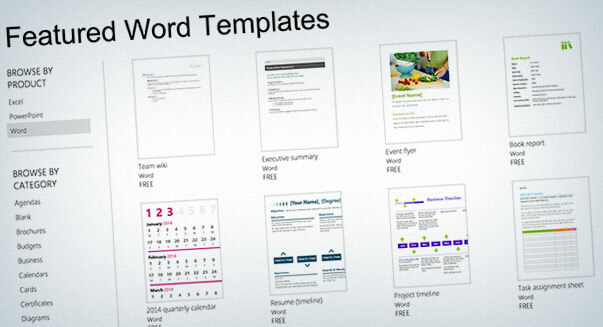 […] of starting a design agency whose sole focus is creating Microsoft Word templates?